Applied statistics is more than data analysis, but it is easy to lose sight of the big picture. David Cox and Christl Donnelly distil decades of scientific experience into usable principles for the successful application of statistics, showing how good statistical strategy shapes every stage of an investigation. As you advance from research or policy question, to study design, through modelling and interpretation, and finally to meaningful conclusions, this book will be a valuable guide. Over a hundred illustrations from a wide variety of real applications make the conceptual points concrete, illuminating your path and deepening your understanding. 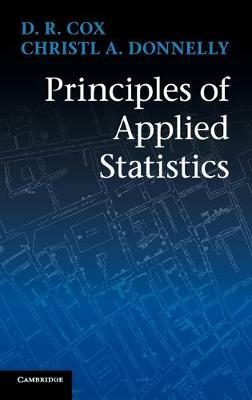 This book is essential reading for anyone who makes extensive use of statistical methods in their work.